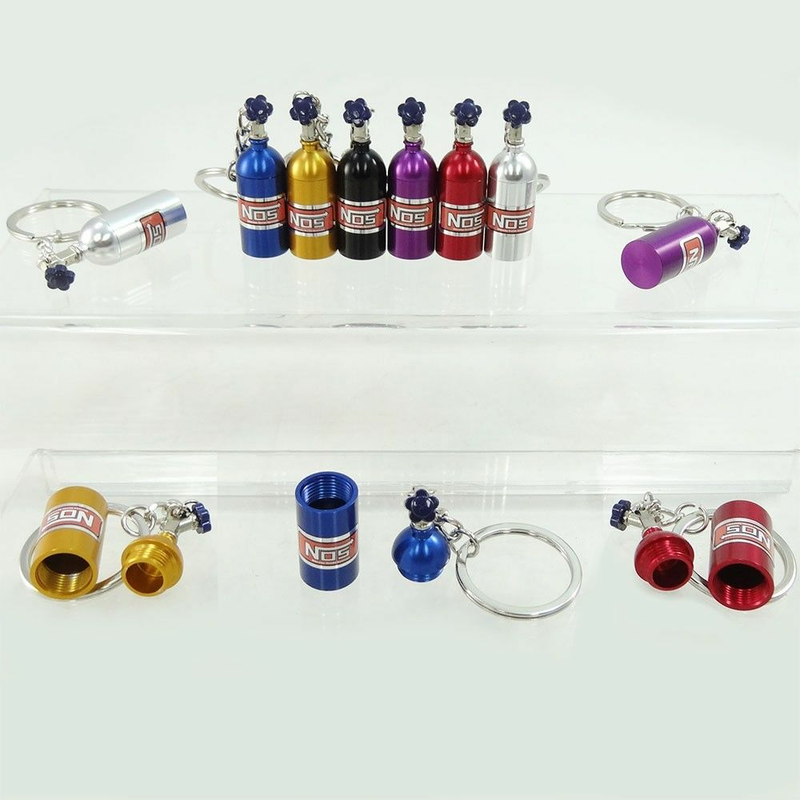 Personalize your keys with this NOS Bottle key chain in a variety of colors. This key chain also doubles as a pill bottle or jet holder. Fits all keys. No one else can stack up to the bold clean styling of our aftermarket Billet dress ups, Street Strip & Racing Suspension & Performance Parts for your late model American Muscle Car!